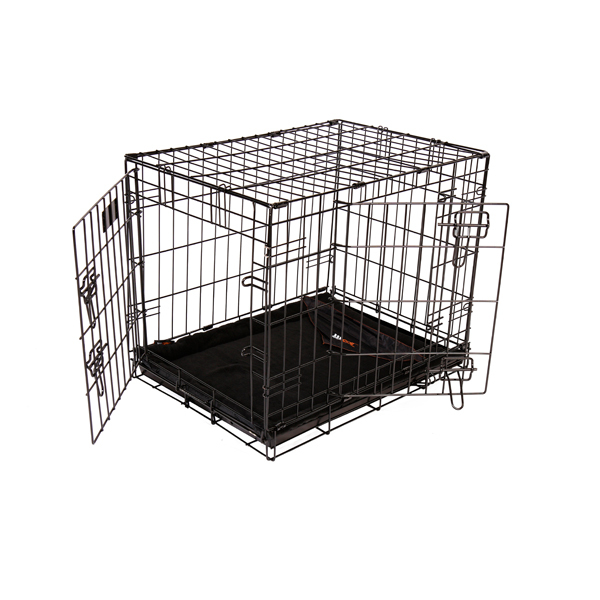 This Steel Crate is made of durable steel alloy and powder coated with a rust resistant finish. 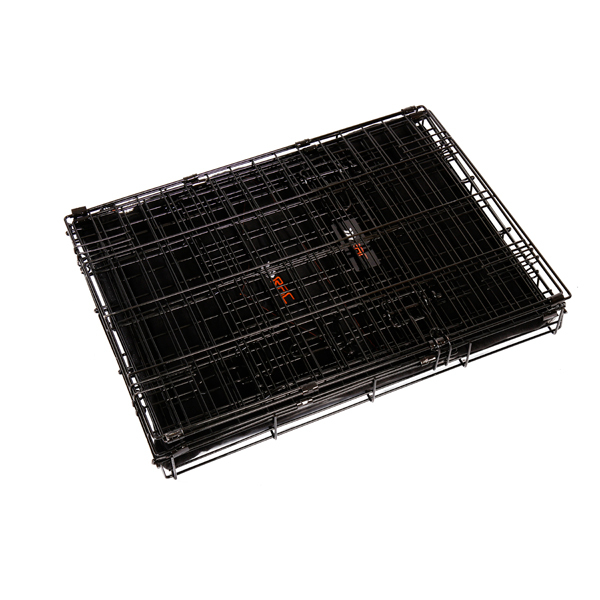 It's easy to assemble without tools and features a removable plastic floor tray enabling easy cleaning. Comes with two latching doors - one on the front and one on the side. 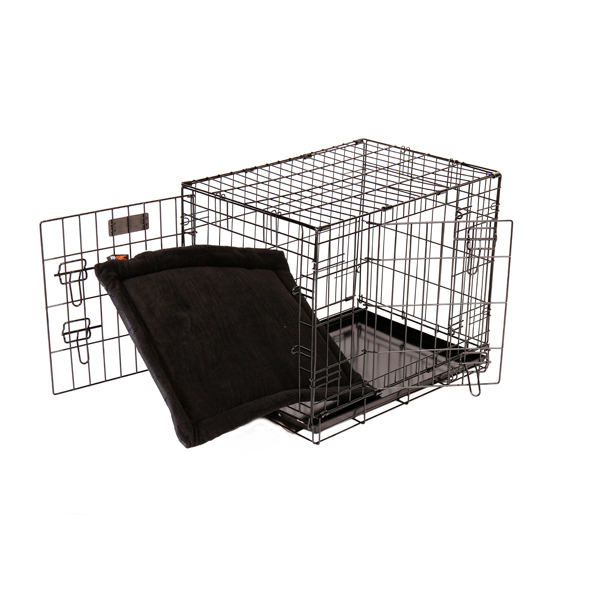 It also helps to restrain your pet and reduce driver distraction on the road.